Few things should make you more proud that having your own business. You work hard to build your success and you deserve to rip the fruit of your labor. Yet, unfortunately not having the right electrical contractor might cost you more than just a simple city violation, your business might be at risk without the right electrical infrastructure. 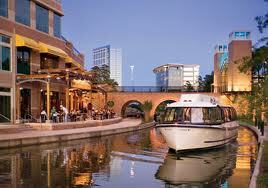 We understand how imporatnt your business in the Woodlands, TX, is. We know how much you have invested on it and we know that you want quality and profesionalism for your electrical need. That is why we proudly let you know that we are the leading commercial electrical contractor company serving the Woodlands and other areas around Houston. We offer reliable business solutions for any kind of enterprise. We offer a wide range of services ranging from hospital electrical contractor service, grocery store electrical supervision, office building commercial lighting installation, and more much more. We care about your business, that is why our master electrician Juan G Lara himself supervises your business and ensures that you get the highest quality in electrical service available. Give us a try today and see why are the leading electrical contractor service in Houston.